Mountains may not be the first thing you think of when it comes to the Canadian province of New Brunswick. 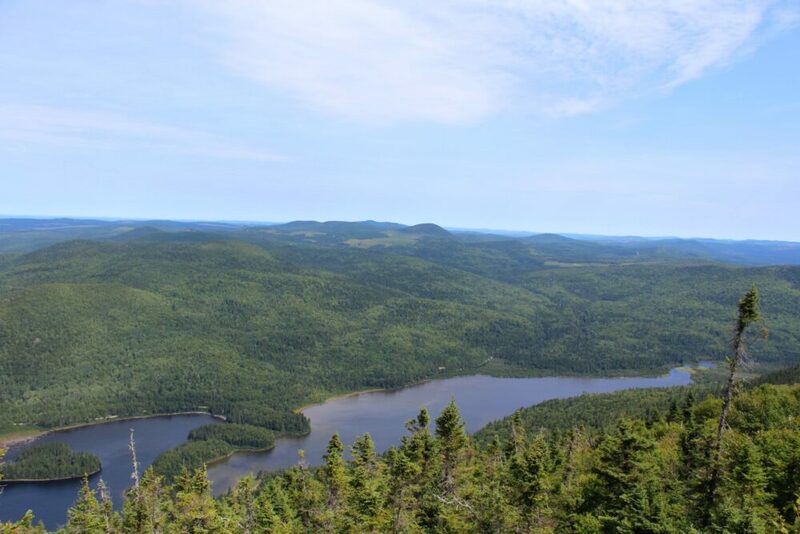 Mount Carleton Provincial Park, however, is home to the highest mountains in the entire Maritimes region and is absolutely worth a visit for anyone looking for a taste of wilderness. Those who like to summit mountains will be particularly pleased. 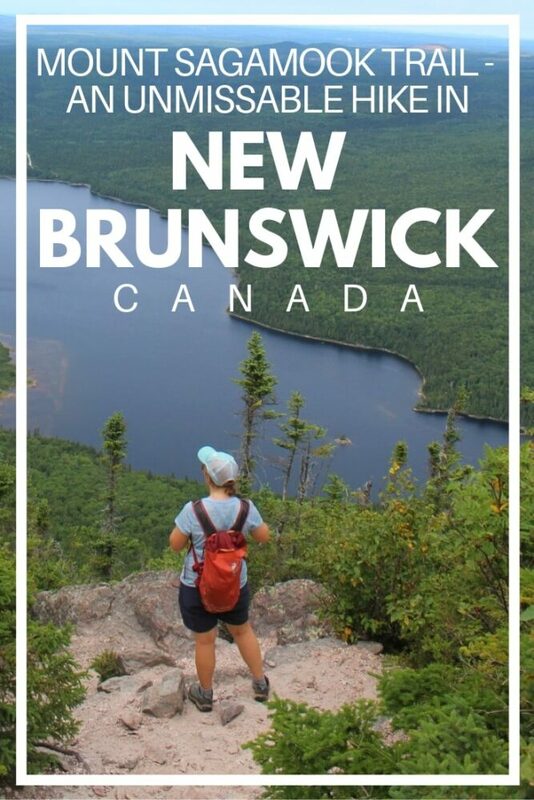 New Brunswick’s section of the Appalachian mountain range features easily approachable, accessible and low difficulty peaks with beautiful forest and hillside views. Indeed it is possible to summit two or more in the same day. 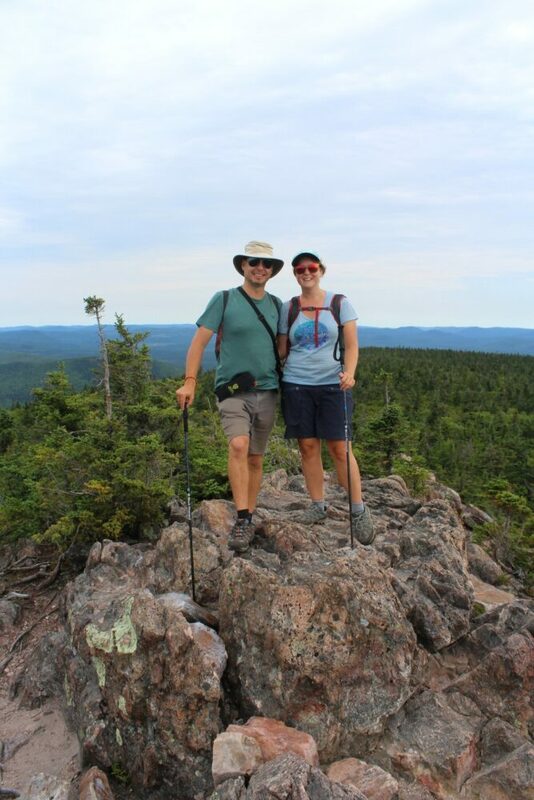 Our mountain of choice for our hike was Mount Sagamook, New Brunswick’s third highest mountain at 777m. 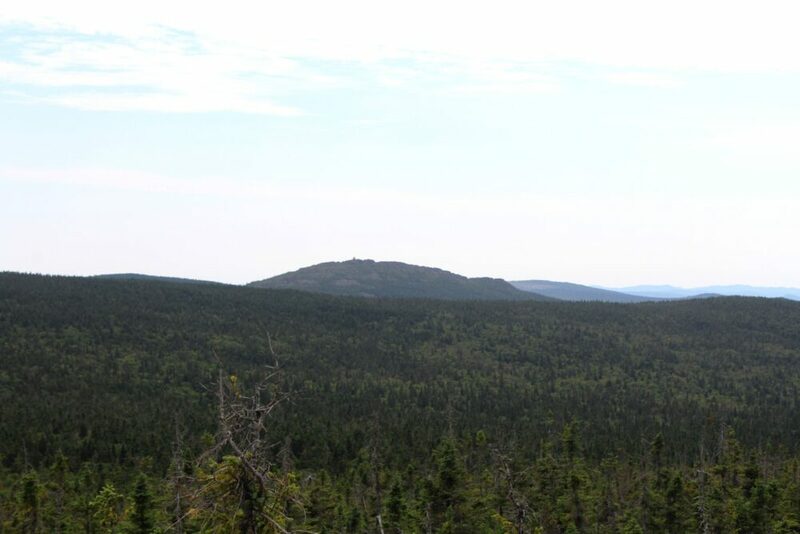 Mount Carleton, the namesake of the park, is a little higher (820m) but the views are generally said to be better at Mount Sagamook. Whether that is true or not, I certainly can’t complain about our choice in hike. 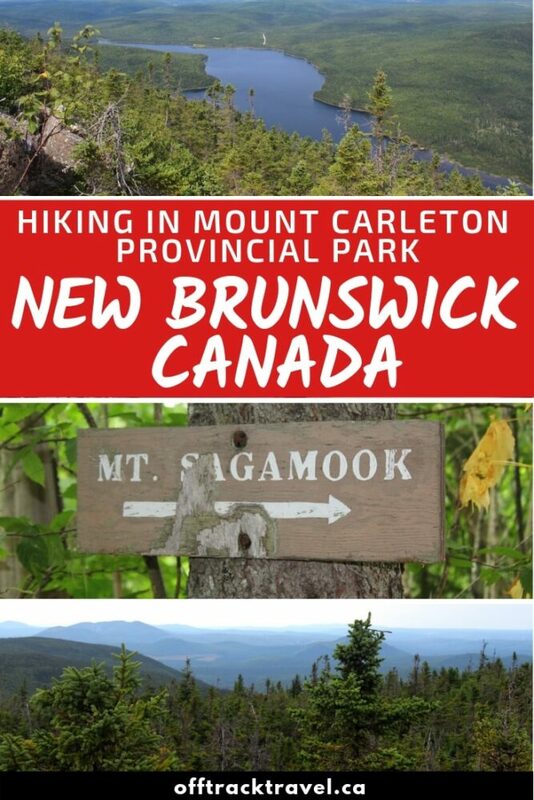 Read on for our experience hiking the 6km Mount Sagamook trail and then use the following Mount Carleton Provincial Park guide as a reference for planning your own trip. The trail ascending Mount Sagamook was relatively abrupt, a moss covered rock staircase quickly leading to giant boulder slabs. Hiking on a fairly warm day, we stopped a couple of times to pause for breath and take in our surroundings. Jean Robert sometimes nicknames himself a ‘lazy hiker.’ He is very keen to hike trails that offer the best reward to effort ratio. I’m a little less demanding but I definitely see his point. Being that the Mount Sagamook trail is only 2.3km to the top, we knew that the reward for our efforts would soon become apparent. And that it did. A short lookout trail (lined with the tastiest wild blueberries!) finally led to a rocky platform. The outstanding panoramas feature the curvy sapphire tinted Nictau Lake sitting perfectly still below, surrounded by rolling hills and Acadian forest. It’s the kind of place that is the epitome of peaceful. If this had been the summit, I still would have gone home happy. Almost to the top of Mount Sagamook! Just a little further on was the true summit of Mount Sagamook. The sweeping views from the peak revealed an even more perspectives on the endless swathe of emerald trees, all the way to the horizon. It was breathtaking, especially on a cloudless sunny day like the one we were lucky enough to have. 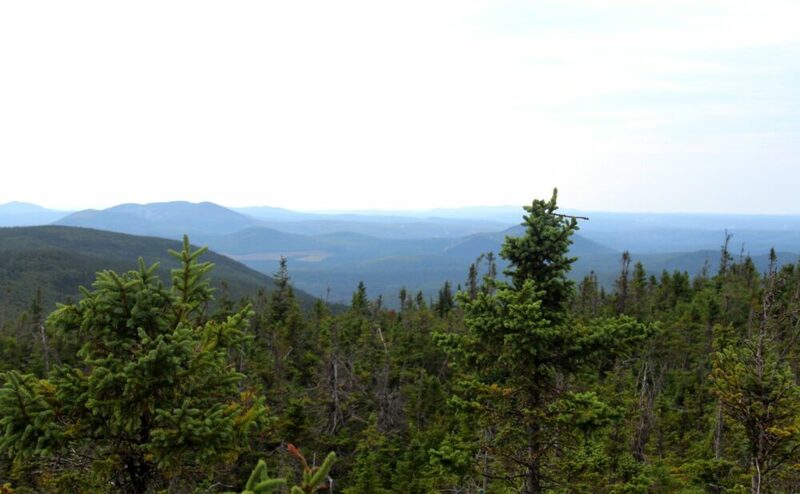 It is said that more than ten million trees can be seen from the summits of Mount Carleton Provincial Park’s peaks. I admit I didn’t count them, but I have no doubt that they were there. The summit of Mount Sagamook is rocky, but has plenty of spots to perch and eat lunch. Or more handfuls of locally sourced, wild blueberries. It’s easy to look across and see the firetower at the top of adjacent Mount Carleton. 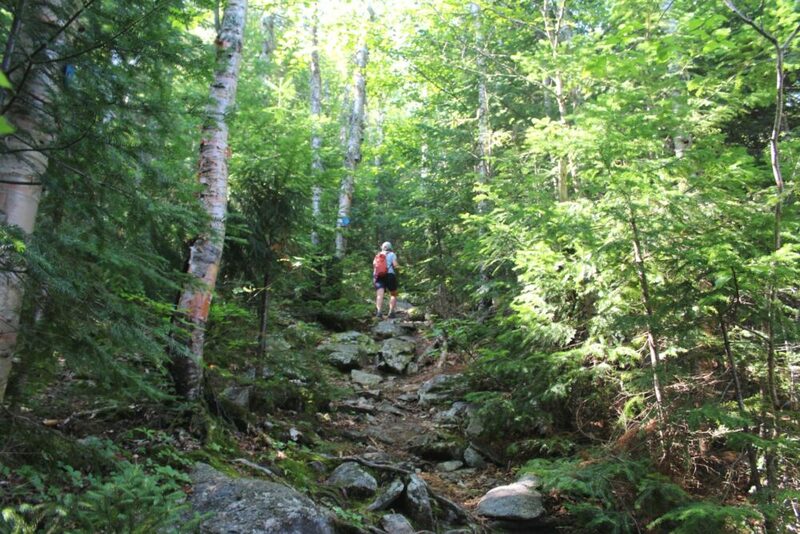 A hike goes from Mount Sagamook to connect the two summits if you feel like bagging another peak. There are some backcountry camping sites on offer at Mount Carleton too, a good option if you want to take all the benefits of the dark skies here. The hike back to the parking lot was smooth, at least, after we found it! Somehow, we managed to disorient ourselves at the summit and started headed back down the way we came. An embarrassing moment for sure, especially for someone who writes about hiking trails….. The route down provided more shade from the late summer sunshine. 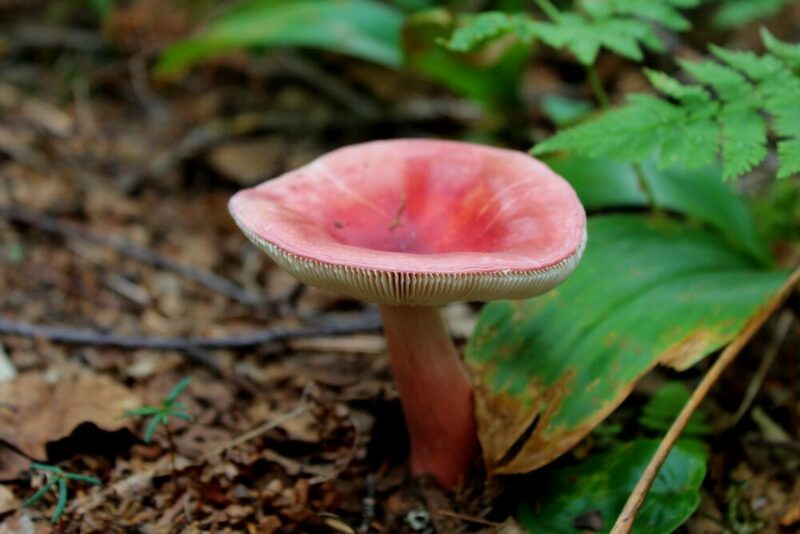 This was clearly appreciated by the local flora too, seeing as there was an abundance of mushrooms scattered on the forest floor. We decided to skip the last lookout after hearing it wasn’t nearly as good as the one on the way up. Needing to be in Parc national du Lac-Témiscouata (Quebec) by the evening, we were somewhat on the clock. Our expectations of the hike, however, had been far exceeded so we left Mount Carleton Provincial Park not regretting a thing. For a place so reasonably accessible by road, Mount Carleton Provincial Park offers a surprising level of wilderness. 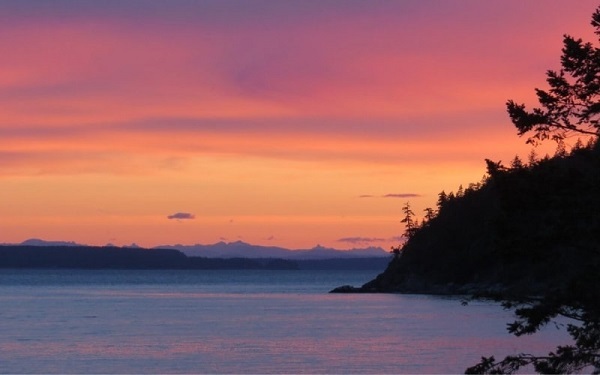 The rustic campgrounds, gravel roads and small parking lots brought to mind several remote provincial parks found on the backroads of British Columbia. 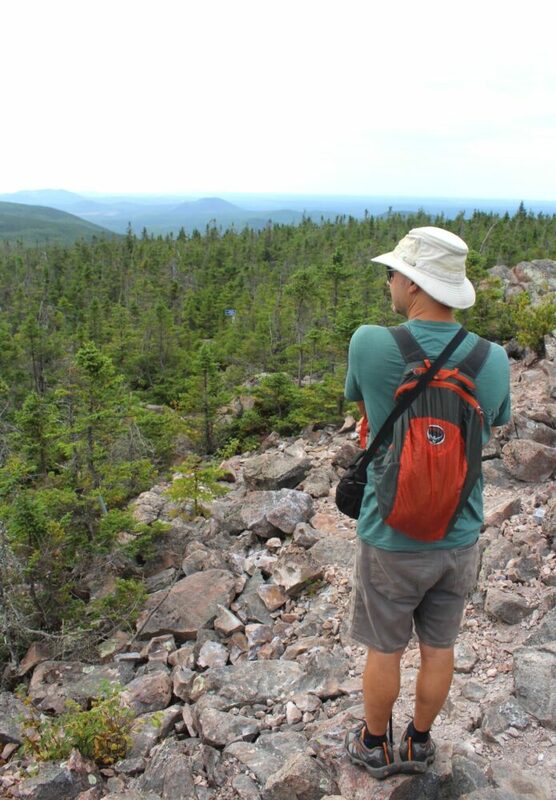 The difference is, Mount Carleton is New Brunswick’s premier destination for alpine hiking. We loved the isolated and quiet feel of Mount Carleton but were astonished it seems to be visited so little. Only around 30,000 people visit the park during summer. While this does make the experience wilder for those who currently visit, I hope more people will discover the underrated nature and beauty of Mount Carleton Provincial Park soon. 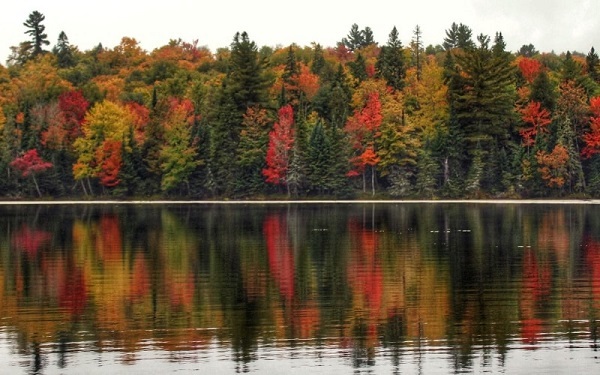 Mount Carleton Provincial Park offers a rugged inland wilderness experience not easily accessible anywhere else in New Brunswick. 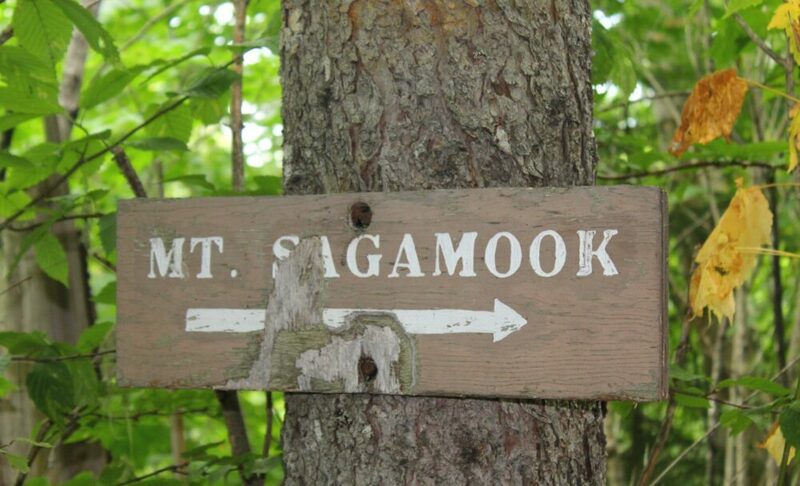 Read on for all the details you need to hike the Mount Sagamook summit trail yourself. This hiking guide includes some affiliate links. If you make a qualifying purchase through one of these links, I may receive a small percentage of the sale at no extra cost to you. Part of the Appalachian mountain range, Mount Carleton Provincial Park is home to the highest peaks in the Canadian Maritimes region. The core area of the park is Nictau Lake, which is circled by park roads. 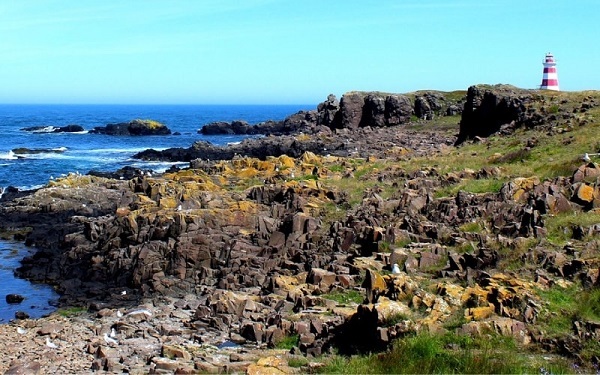 Campgrounds and popular hiking trails are easily accessible from this core area. The park entrance is on Highway 385. The entry road is gated, with visitors needing to park and enter the Visitor Centre and pay entrance fees before continuing. Access to Mount Carleton Provincial Park is possible from 8am to 8pm every day during the main opening season. Admission fees are $10 per vehicle and are only payable in cash. 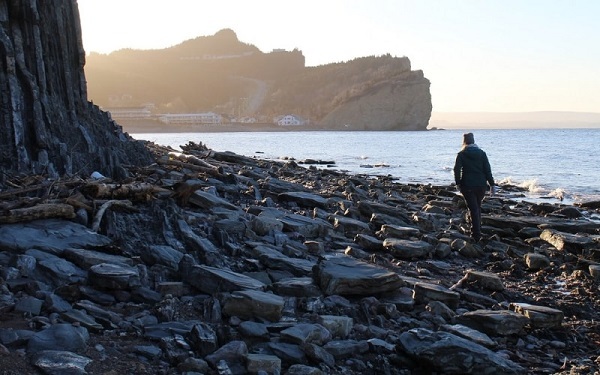 The Visitor Centre staff issue camping permits and New Brunswick fishing licences. Mount Carleton Provincial Park is open for summer activities from mid May to mid October. The park also opens in winter for snowshoeing, cross country skiing, snowmobiling and winter camping. 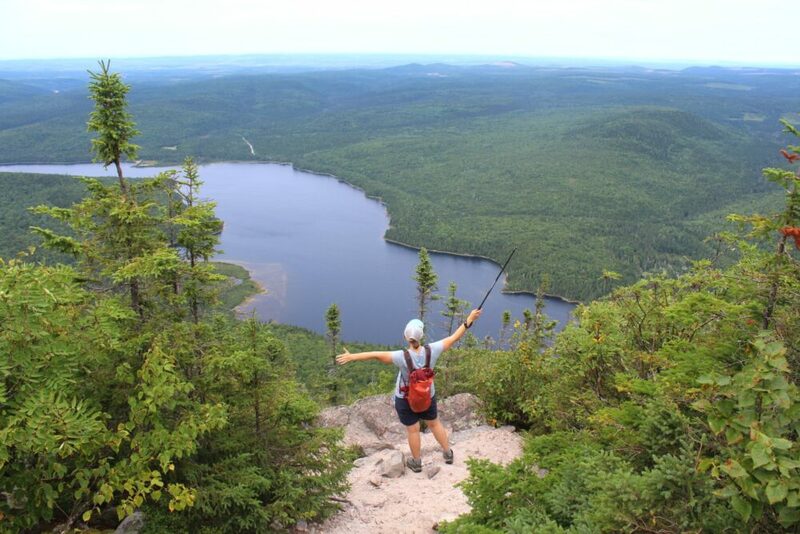 The Mount Sagamook hike is a 6km loop trail in Mount Carleton Provincial Park. The elevation change is around 400m. I would describe the trail as strenuous but not technically difficult for any prolonged period of time. With a forty five minute break at the summit, we spent four hours and fifteen minutes on the trail. 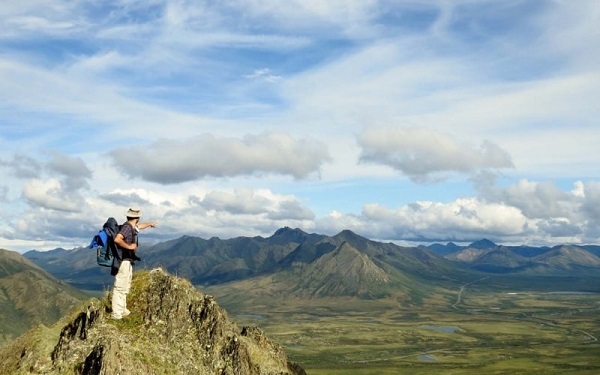 Three to four and a half hours is an average hiking time estimate for most visitors. Shortly after starting the Mount Sagamook loop trail, hikers need to choose which way to ascend to the peak. 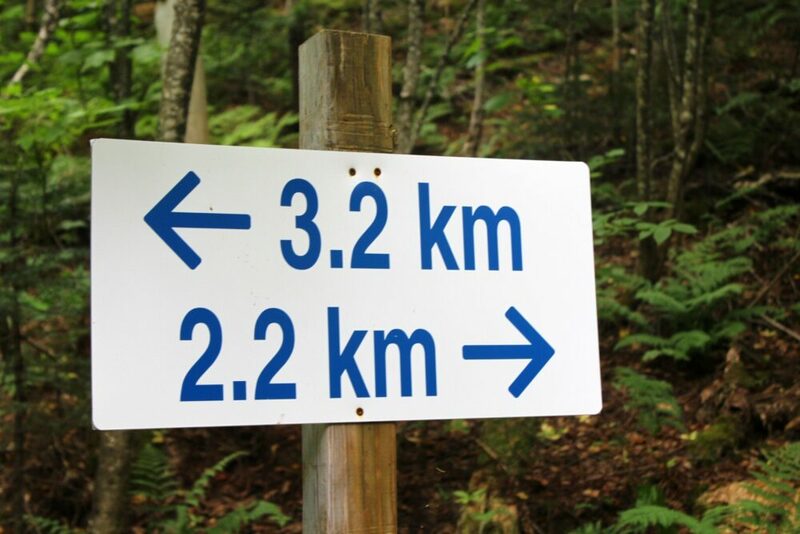 Hiking in the counter clockwise direction offers a shorter (2.3km) and steeper trail. The trail is rocky and features some large boulders near the end. There is a short look out trail detour (500m return) before reaching the very top. Slightly longer (3.2km) and more gentle, the clockwise trail is definitely easier on the knees. It is also more forested. There is another look out detour here too, though a little longer (800m return). We chose to hike the Mount Sagamook trail in a counter clockwise direction for an easier descent. The Mount Sagamook trailhead can be found about 7.5km from the park gate, along the shore of Nictau Lake. The park staff will give you directions and a hiking map on entry to the park. 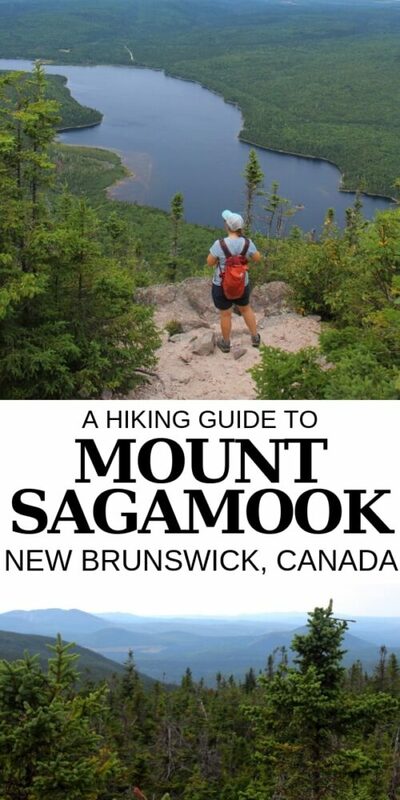 There are no trail fees to hike Mount Sagamook besides the Mount Carleton Provincial Park entrance fee. Hiking poles help make ascents and descents easier. For most hikes, we share a pair of extremely lightweight Black Diamond Carbon Z poles. Plenty of water, especially on summer days. You’ll be thankful for it on the way up! 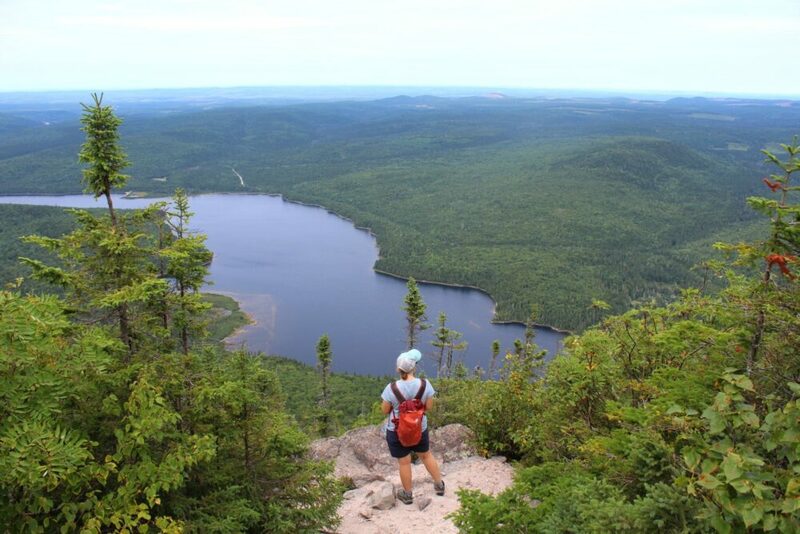 The Mount Sagamook hike is not the only trail in Mount Carleton Provincial Park; there are eleven trails in total covering over 60km in distance. 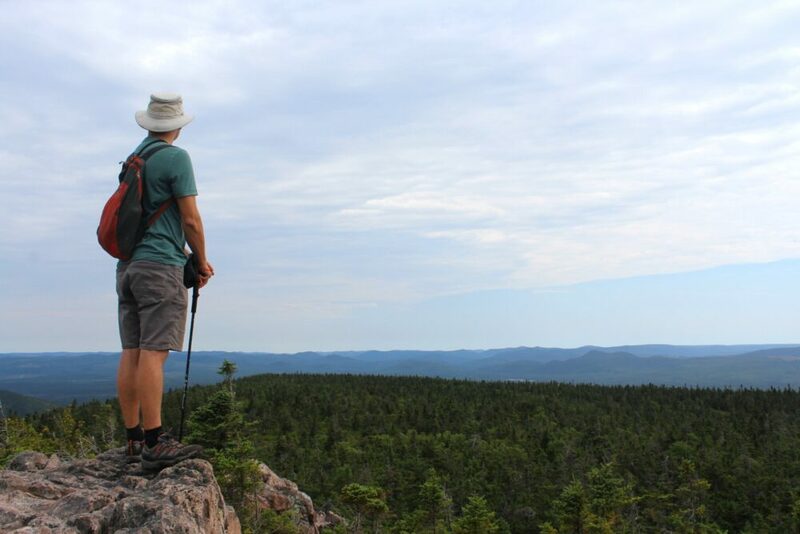 The Mount Carleton Loop Trail is one of the most popular trails in the park, reaching the summit of New Brunswick’s highest peak (820m). The 9.9km trail features a short yet steep ridge climb and takes around three to four hours to complete. In addition to the sweeping views at the top, there is also a historic fire tower, previously used as a weather and wildfire observation station. 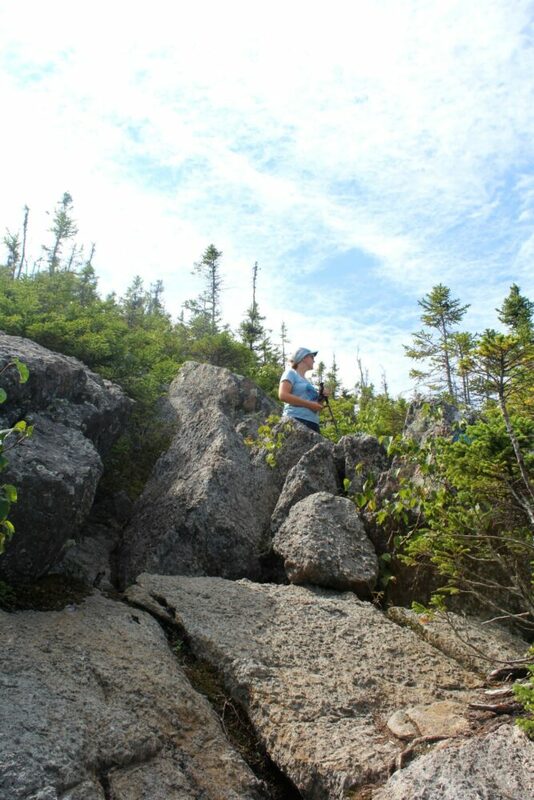 The Mount Head Trail connects the park’s three major summits – Mount Carleton, Mount Sagamook and Mount Head. It is 4.4km in length. Less strenuous is the Williams Falls Trail located to the east of Armstrong campground. It is a quick, easy 0.6km return trip to the namesake waterfall. There is a viewing platform at the three metre high waterfall. The International Appalachian Trail travels through Mount Carleton Provincial Park. 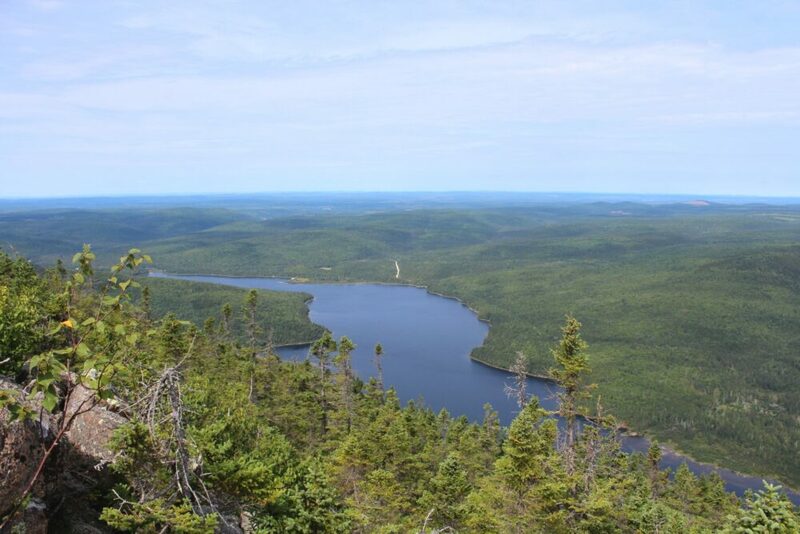 Mount Carleton has three main campgrounds – Armstrong Book, Williams Brook and Franklin. Armstrong is, by far, the largest with 88 campsites. It is also the only campground with showers and treated water ($28/night). Spots are available for RVs, trailers and vans as well as tents. The small lakeside campgrounds of William and Franklin welcome tent campers only ($17/night). There are four backcountry campsites located 1.2km from the summit of Mount Carleton. The Headwaters backcountry campground has two outhouses and two food caches. Each site can accommodate one single tent at a rate of $11/night for a group up to six people. The Mamozekel stream runs through the campground. It is also possible to stay at one of the eleven different heritage cabins in the Nictau and Bathurst areas of the park. The cabins vary in facilities, price and size. Mount Carleton Provincial Park camping (and cabins) can be reserved online on the Parks NB website or in person at the park gate. Located in the northern part of New Brunswick, Canada, Mount Carleton is a fairly isolated place by provincial standards. It is 43km away from the nearest local community. For this reason, you should bring all food, water and supplies you may need while in the park. Phone signal is spotty. The park entrance is just off Highway 385, a mostly gravel road connecting Highways 108 and 180. Road conditions are fairly good, though there was extensive construction during our visit. 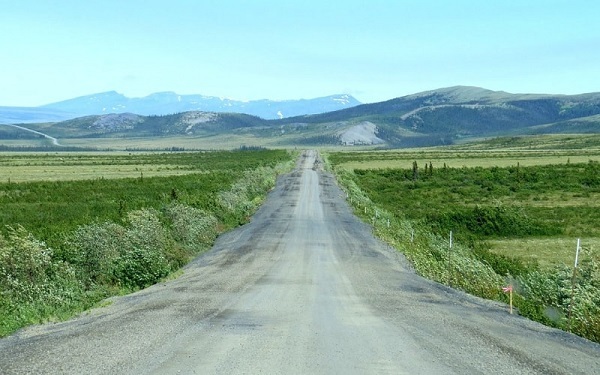 Logging trucks are commonly seen on this road as are moose at dusk and dawn. Drive carefully! 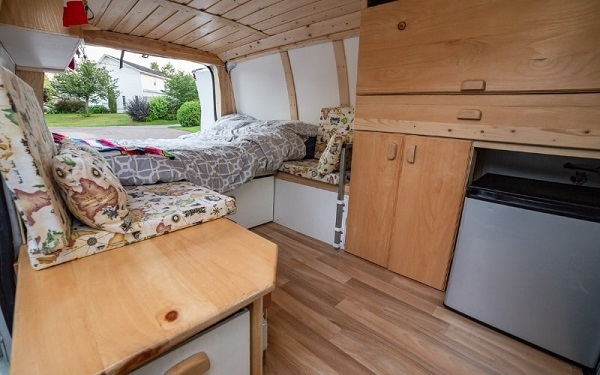 The best route of access is via Highway 180 which travels between the towns of Bathurst and Saint Quentin, though this depends which direction you arrive from. Note that Highway 180 can be treacherous in winter and spring. 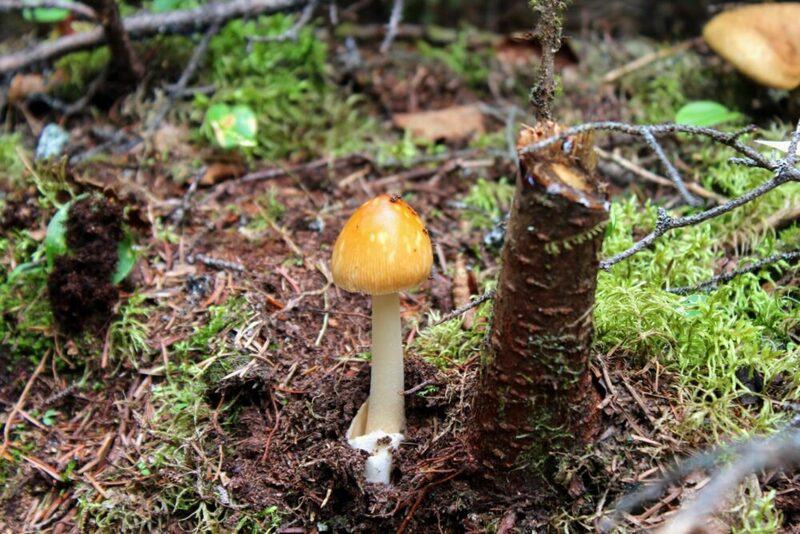 Have you been hiking in Mount Carleton Provincial Park in New Brunswick? If you found this post helpful, PIN or save it for future reference with the above images!